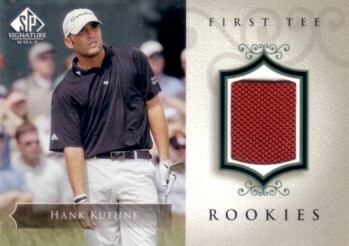 Hank Kuehne 2004 SP Signature First Tee Rookies card with a swatch of a shirt Kuehne wore in a PGA Tour event. NrMt-Mt or better condition. ONLY THREE AVAILABLE FOR SALE.